Boil the milk in medium low flame for 5 minutes. Keep Stirring while you boil the milk. When it boils and becomes frothy, switch off the flame. Cool down the milk. 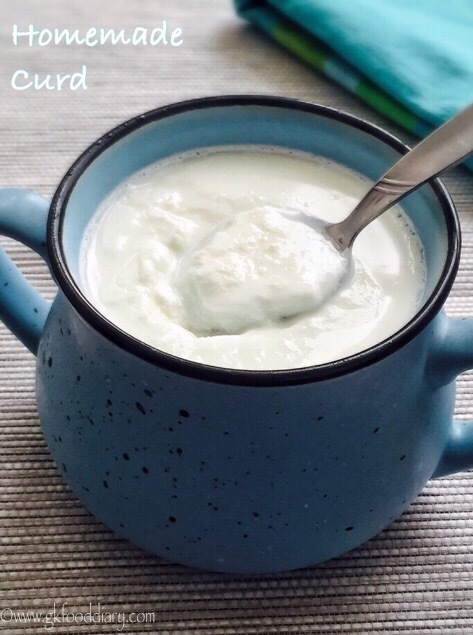 When the milk come down to look warm temperature (immerse your finger and check), add ½ tsp of starter curd/yogurt to the lukewarm milk and add mix well with a spoon. Cover the bowl with a lid and store it in a warm place for 6-12 hours depending on the climate. Once the curd is set, store it in refrigerator and use whenever required.